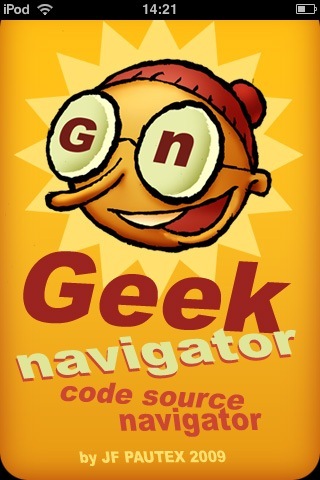 Source Browser Geek Navigator is the first alternate browser but it only shows source code of pages. Links are discovered and remain active, the rest is exactly the source code of webpage. Qickly see information, hidden tags into a site. Search in the code of a site. Moving fast in long text. Bookmark visited sites, add and delete. Opens directly on source browser window. 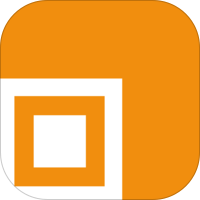 Geek Navigator 1.5 is available on the AppStore now. Images links are green. (img src =). Everything can be loaded and presented in text, pdf files, images that makes them particularly abstract. Just useful for discovering some text included.. This version does not directly parse source code, looking for links are from text mode. Sometimes some links are missing. Navigation is done from page to page, you back a page to retrieve the initial page. Memory saturation maybe reached after too many open page. Text search is possible (version 1.1), you have to open and activate search in global iPhone preferences.